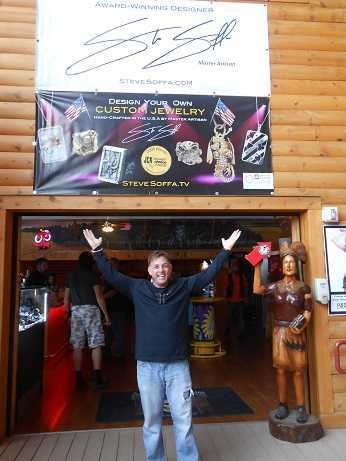 Breaking News: Steve Soffa Showroom Now In 2 Locations During Sturgis Motorcycle Rally, August 1-10! 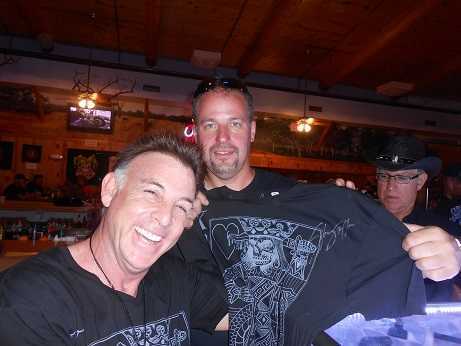 Soffa with collectors – Sturgis 2013 This year, Steve Soffa will be opening an additional NEW gallery location at Easyriders Saloon, premiering his limited edition “Artistry in Jewelry” and “Artistry in Time” collections. 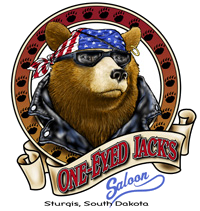 Steve Soffa will be on-site indoors at Easyriders, located on the 1st Floor inside the saloon in the merchandise area. Steve is excited to premiere his full collection in this large new space, and will be there to show these lines personally, with time for personalized signings and design sessions. Come see our newest collections of timepieces and jewelry. We look forward to seeing you there. Steve will be spending time at both locations this year, so call to make an appointment for a personal consultation, or come on by and say hello in person! This year, come see us in our expanded NEW location at Easyriders Saloon, and meet master artisan Steve Soffa for personal consultations and appointments!